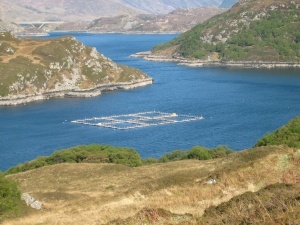 Fisheries Management Scotland established a Fish Farming Committee to inform and coordinate our activities relating to fish farming and to facilitate a consistent approach on interactions issues at a local level. The primary focus of the group will be on salmon farming (marine and freshwater), but farming of any fish species in open net cages will be considered within the remit of the group. In the first instance, an updated strategy, and underlying policy, on fish farming will be developed. See also our current priorities on fish farming.